IT WAS RICKI CARROLL’S CHEESE-MAKING KIT that introduced me to the wonders of homemade mozzarella and ricotta. Because I’d like your taste buds to do a happy dance, too, I’ve purchased an extra cheese-making kit to give away. Who wants to win it in a random drawing? If you only know tasteless, rubbery mozzarella, and bland, gummy ricotta from the supermarket, get ready for a colossal treat. I can tell you from my own experience that these two cheeses, when made from scratch, offer incredible flavor and texture. Try making them once, and I suspect you’ll never buy their commercial counterparts again. 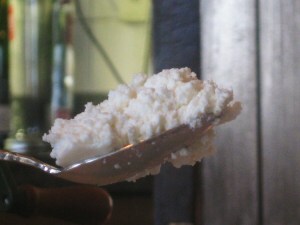 The kit I’m giving away contains enough rennet and citric acid to make 30 batches of cheese. It also contains a thermometer, and a large piece of butter-muslin. Butter muslin is used for draining the whey from ricotta. First, subscribe — if you haven’t already — to my weekly email newsletter. Next, leave a comment below. Say something about cooking, cheese-making, or gardening. Or, just say “hello.” Be sure to include at least part of your email address at the end of your comment, so that I can easily verify that you’ve subscribed to my newsletter. Finally, join A Garden for the House on either Facebook or Twitter (or both). Enter soon! This random drawing expires at 11:59PM on Friday, April 15, 2011. I’ll announce the winner at the end of the comments; he or she will also be contacted by email. As always, I’ll use the gadget at Random.org to select a winner. Only one comment per person will be counted. I would like to try making cheese. Is it easy with a kit? I didn't even know they made such things! I am SUCH a cheese lover! Thanks for the awesome give-away! I'm already subscribed to your email newsletters (It's one of the few I actually READ! ), and I already follow you on Facebook! I've been watching your posts on the cheese making and I am going to try it. I haven't searched yet for the ingredients to make it with, so winning your giveaway would give me the push I need. My vegetarian daughter would love this homemade cheese, we just have to find the time to make it now that garden cleanup season is here. With basil growing season coming upon us, I can't wait to serve fresh basil with homegrown tomatoes and HOMEMADE MOZZARELLA! Thanks for giving us this idea, Kevin! Hi we did something wrong on the cheese thing… think it was the milk…it was to pasteurized. We love cheese–our dream is to have a little farm and raise goats and make our own cheese. I would love to have the kit so I can start practicing making my own cheese. I am subscribed to your newsletter and I want to win this kit: I'm a food historian in training and this would help me complete my education with hands on experience. I married into an Italian family….mozzarella & ricotta cheeses are important in the recipes I want to make for them for Easter. I'm an email subscriber and like you on Facebook too. Thanks! I have been enjoying your tales of cheesemaking. I find it difficult to procure rennet so would love to win this. I have made mozzarella, cream cheese, feta and chevre before but currently have no real income so this would be grand to have some rennet and starter. I have a friend who has goats so I would love to be able to make some more feta! My kids love it! I love keeping up with the progress of your garden–it inspires me to work in mine. That cheese looks so yummy! Good for you for making your own and for thinking of this give away idea. Thank you for posting this originally. I have become very inspired to make mozzarella cheese. I am from an Italian family and miss the “good stuff” we used to have when I was young. My wife and I have purchased ingredients and are anxious to get started. I'm sure I'll never buy commercial again. I'm addicted!!! Must have more cheese!!!!!!!!! I would love to make cheese. Thanks for the contest! I'm definitely signed up for your emails/newsletter and loving all the great content – recipes and flowers and advice! This cheesemaking kit would be beyond awesome! Thanks! I'm already signed up and I just like reading new things you do at your home. I just double dug just one part of my garden…. it took 5 hours to do 4' X 10'! whew! Yum! Anything homemade is always better 🙂 cheese making would be a fun new foray. Lots of cheese lovers in my family. If I could make my own they would be very impressed! 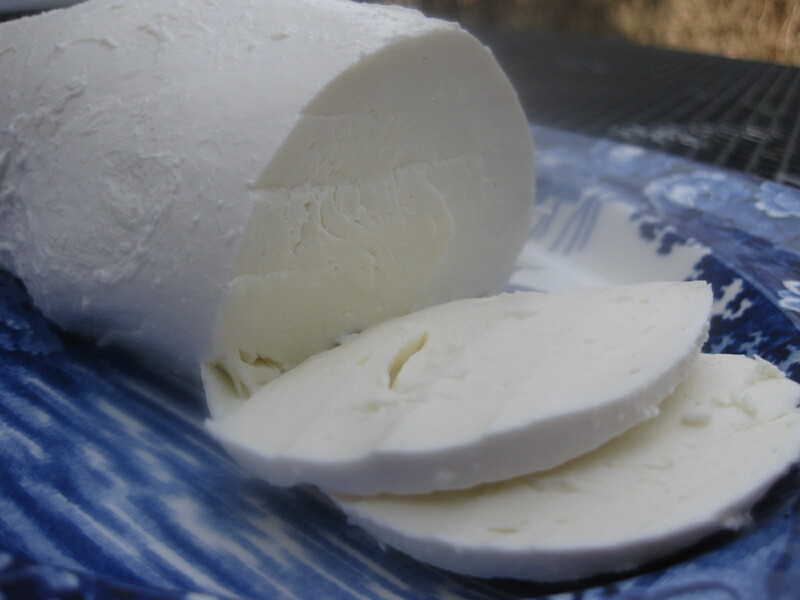 I would love to try my hand at making homemade cheese. Thank you for the giveaway. I am an email subscriber and liked you on facebook. pvbugg at embarqmail dot com. I adore cheese-all kids; although I don't care for the blue family. I'd love to become more self sufficient, and making cheese just sounds fun. However, I think only by winning this gift would I have the impetus to become a cheesemaker. There's just not enough time in the day. Oh to be independently wealthy! Thanks for the opportunity to win-you really are too kind! (You know I follow you everywhere-it's me-Katreader-Kathy[Kathleen]). 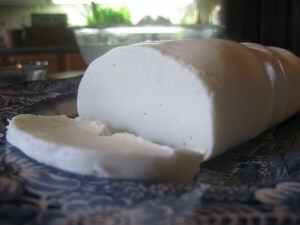 When I read your first article about making mozzarella it made my mouth water! I would love to make homemade cheeses! I've been a fan on FB for a while and already subscribe to your weekly email. Wow, I just discovered this blog and can't WAIT to try making cheese, winter growing, and redesigning the garden. Thanks Kevin, you are absolutely an inspiration. Hi Kevin, I am signed up to your FB and newsletter. Would love to win the kit! I've been waiting for this event as I so love ricotta and mozzarella! I've planted lots of cold weather plants in my garden already and can hardly wait for warm air to get things going. Oh for the first harvest. Im a subscriber to your newsletter and follow on Twitter as Bookloon. I have never tried making my own cheese but I do love cheese. I can only imagine what fresh made cheese taste like. It was so nice to see your manicotti recipe attached. I look forwad to making that for my family very soon. Luv this blog. Oh! just what I need! thank you for the contest! I am a fellow cheese-lover! My favorite types are Piave, Robusta, Cheddar, and American. The delicious blends of hard and soft cheeses is truly a sensation I will not forget any time soon. I would be honored to receive a cheese-making kit, where I would be able to enjoy the tantalizing flavors of different cheeses with my friends. Additionally, I love going to Melting Pot, where they provide an urban mix of different complimentary cheeses! Cheese making? I grow my own rennet via planting Cheese Weed (Malva parviflora) in my garden. I've yet to use it's seeds as a rennet. I subscribe and I follow on FB as sarah linette. I would love to learn to make cheese! I liked A Garden for the House, from Kevin Lee Jacobs on Facebook (Deborah Rosen). 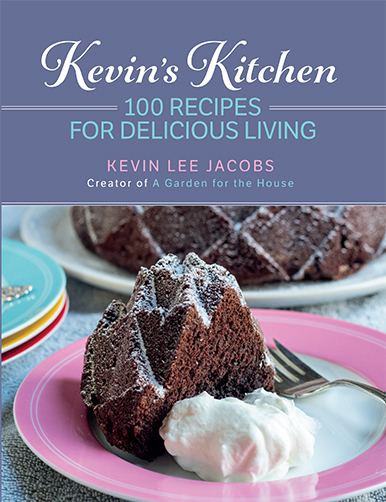 I followed KevinLeeJacobs on Twitter @AsTheNight. Subscriber, I would love to make my own cheese, it looks like fun! I'm following on Twitter @Hotsnotty2 – thanks! my boyfriend would love this. I love fresh cheese and have always wanted to know how to make my own. I still remember when I was younger in Italy how good the fresh mozzarella tasted. I've always wanted to duplicate that flavor here. I anticipate each and every Garden for the House email. You are my kind of gardener – just as passionate. I also relish your Facebook posts about your home, another weakness of mine. Wow, making your own chese sounds really fun. How messy is it? Thank you for these wonderful posts on cheese-making. Win kit or not, I'm going to make some cheese. I plan to try to make burrata as I am making my mozzarella. 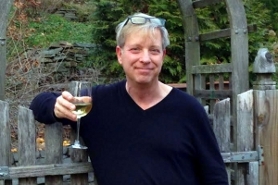 I love all your posts – cooking, gardening, living with an older home. I follow you by email and on FB. I love your very informative, clear, and fun columns about food, gardening, cheese-making. Many thanks. Already subscribed-I am very interested in cheese making, but don't have a clue as to where to start. I did all the requirements, twitter id Emma__Peel. I love to garden tomatoes, onions and parsley my favorite things for a salad. I just subscribed. I would love to make cheese with local milk. That is fairly reasonably priced, but local cheese is expensive!!! Thanks for playing, everyone! If I could, I'd buy all of you a cheese-making kit! Random.org selected comment #10. Congratulations, LilyBiscuit! I'll contact you by email.